Envato Hosted (ThemeForest/Avada Hosting) Review - Is It Any Good? If you’ve been shopping for a WordPress theme on ThemeForest recently, you may have noticed a service named ‘Envato Hosted‘ being advertised. As you may have guessed, this newly launched service is from Envato, the site’s parent company, and is offering managed WordPress hosting. 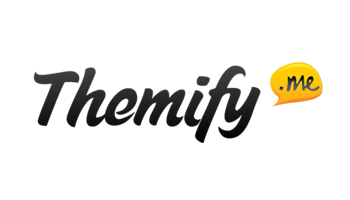 As well as managing some of the main aspects of your WordPress website (something we’ll be covering in more depth below), and providing you with everything you need to start a new site, one of the main selling points of this innovative service is access to one of the participating ThemeForest themes as part of your subscription payment. Having a single point of contact for domain registration, website hosting, theme provision, and the management of things such as website updates and backups sounds very convenient, but is this service worth your money? And does it deliver the performance your website needs? Envato aim to simplify the process of launching a WordPress website with their new web hosting service. Now, instead of registering a domain name with one company, purchasing a WordPress theme from another, and then signing up for a web hosting service elsewhere, not to mention connecting all those pieces together, with Envato Hosted, you can access all these components through one account, with one recurring monthly payment. Not only that, but the Envato Hosted team will also take care of website backups, core software updates and more to help ensure your website is always running smoothly. 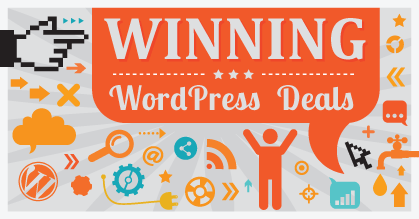 The convenience of a one-stop shop for all your WordPress website needs does sound appealing. We’ll cover the pricing details in more depth later in this review, but at $19.99 per month, it’s clear this isn’t cheap, entry-level hosting. So let’s see what you get for your money. 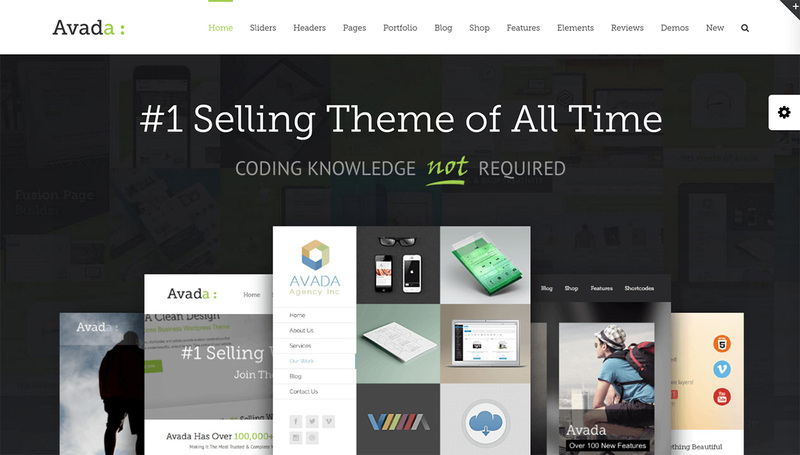 Avada is one of the themes you can choose for your new WordPress website. Unfortunately, at the time of writing, only a small selection of WordPress themes were available as part of the Envato Hosted service. Hopefully, in the future, more theme authors will choose to opt in, but, for now, you can choose from the best-selling, multipurpose Avada, Enfold, Bridge, Jupiter, and The7 themes, among others. The Envato Hosted theme installation and setup service is ideal for anyone who’s either new to WordPress or short on time. After a clean installation of WordPress has been performed, your theme of choice (from the available options) will be installed and activated on your new website. 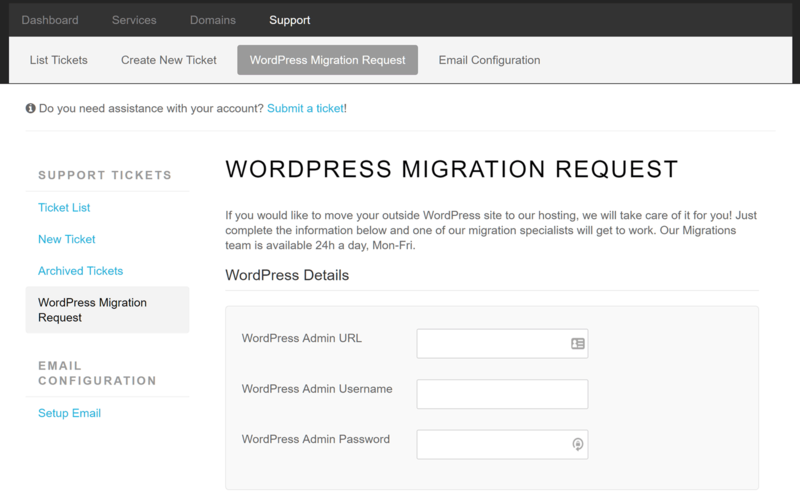 Just fill in the form to start the WordPress website migration process. If you already have a WordPress website, you’ll be pleased to know the Envato Hosted package includes a migration of your site and its content to your new hosting account. It also includes optional domain registration and configuration, and connects your domain to your server space to ensure your website can be found at your chosen URL. 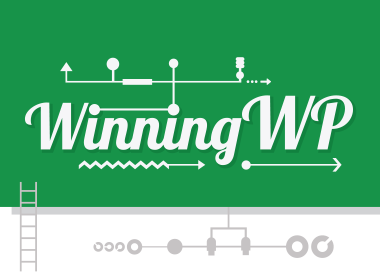 WordPress website hosting packages tend to fall into two categories, managed and unmanaged. Envato Hosted are in the former category, and, as part of their managed service, updates to the WordPress core software and security checks will be performed on your behalf. Your site will also be monitored in real time for errors, ensuring any issues are detected as soon as they arise. Website snapshots are also taken nightly, and backups are kept for 30 days (and stored offsite in Amazon S3 storage for added safety). At the moment, if you’d like to restore a backup, you need to open a ticket to request the support team to carry out this task. However, Envato Hosted expects to enable self-initiated backups and restores in the first quarter of 2017. As part of the managed hosting security measures, the Envato Hosted system engineers are proactive in scanning sites for malware and other issues, and DDoS protection is also in place to keep your site online. If an issue is detected, the support team will start work solving it, while also notifying you of the situation. This proactive approach also applies to assisting with hacked websites. Considering it’s not unheard of for some web hosts to simply take your site offline if they detect a potential security issue, it’s good to see that the Envato Hosted team will get to work as soon as an issue is encountered, while also keeping you in the loop as to what’s happening. Websites mainly hosted in Virginia, US, with some limited availability in Europe. PHP version 5.6 with plans to push out PHP7 in Q1 2017. HTTP/2 updated network protocol enabled across the board. SSL provided for all domains, free of charge, via Let’s Encrypt. 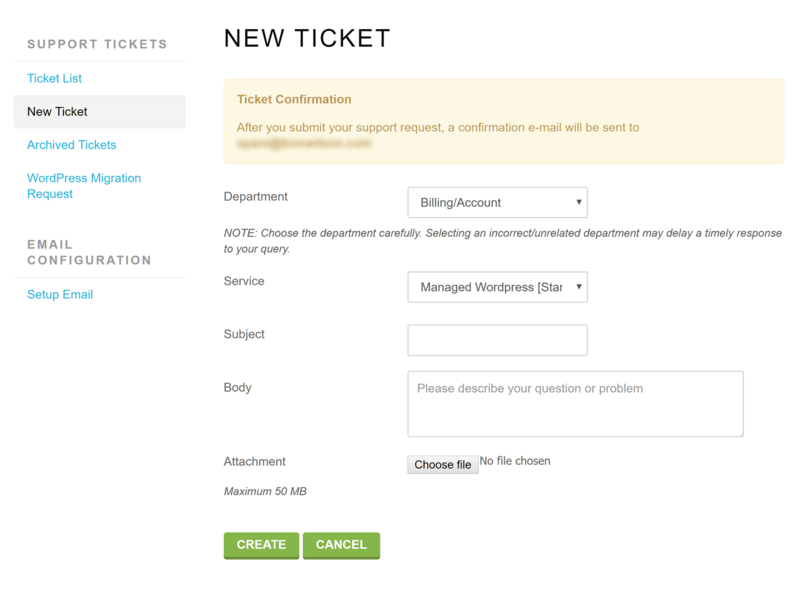 Support tickets can be opened and managed through your Envato Hosted dashboard. Although live chat is being considered for the future, there’s no telephone support service, with email being the only way to get in touch with the team. During the testing for this review, the Envato Hosted support team responded quickly to any tickets that were opened. As part of the customer onboarding process, you’ll also get a one-on-one session with a member of the support team. This is a good opportunity to ask any questions you may have or iron out any issues that may occur while setting up your website. Unfortunately, the Envato Hosted service doesn’t include any email hosting or management services. However, you can connect your Envato Hosting account to one of the supported mail providers. Connect your account to one of the supported email providers. 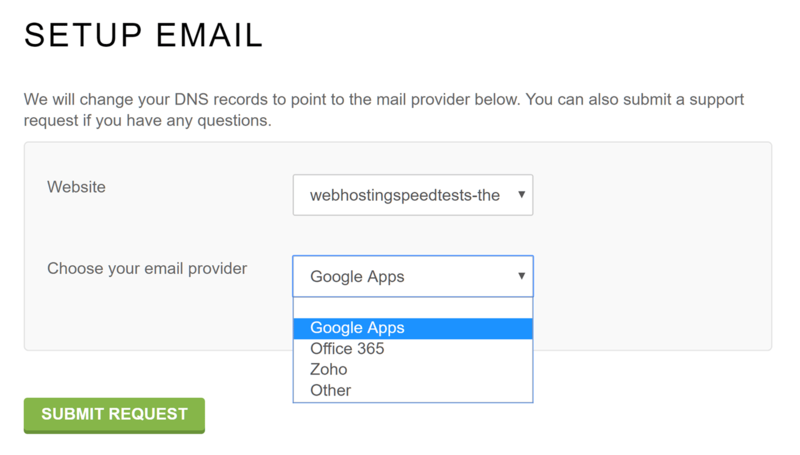 Therefore, if you’re already using an email provider such as Google Apps or Office 365, you can connect your domain name to the service. If not, signing up with one of these services is your best option for sending and receiving emails using your site’s domain name. 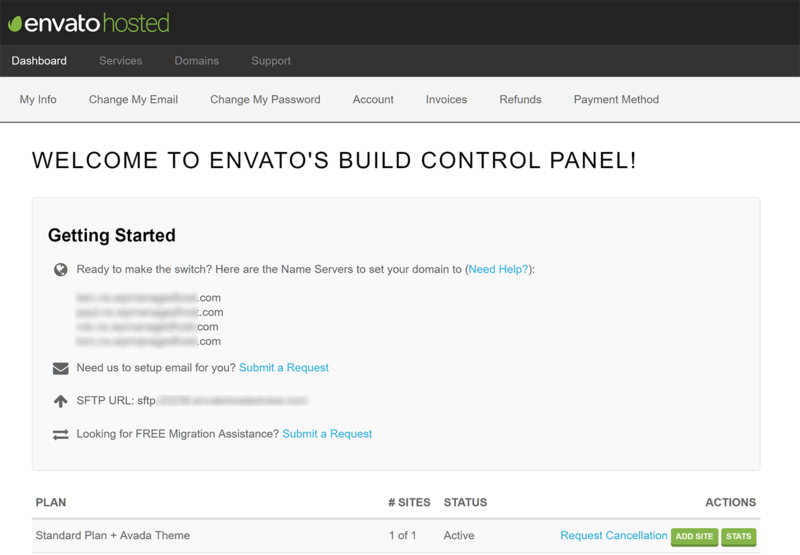 The Envato Hosted control panel dashboard. Once you’ve signed up with Envato Hosted, you’ll be able to log into your account dashboard. From the dashboard area, you can view your active hosting plans, the details of your WordPress website, and other important information. Usage stats from the Envato Hosted customer dashboard. We’ll cover the usage limitations in the pricing section. However, you can easily view how much of your visitor, disk quota, and bandwidth allowance you’ve consumed from your Envato Hosted dashboard. 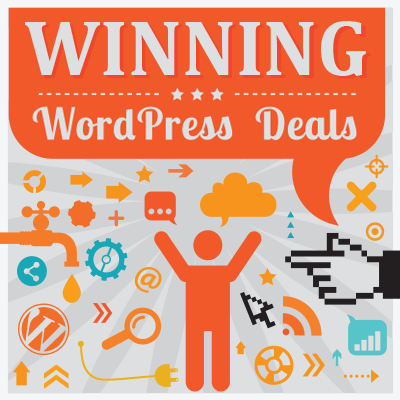 On paper at least, Envato Hosted offers everything a new WordPress user could want. So, let’s find out how easy this service is to use in practice. 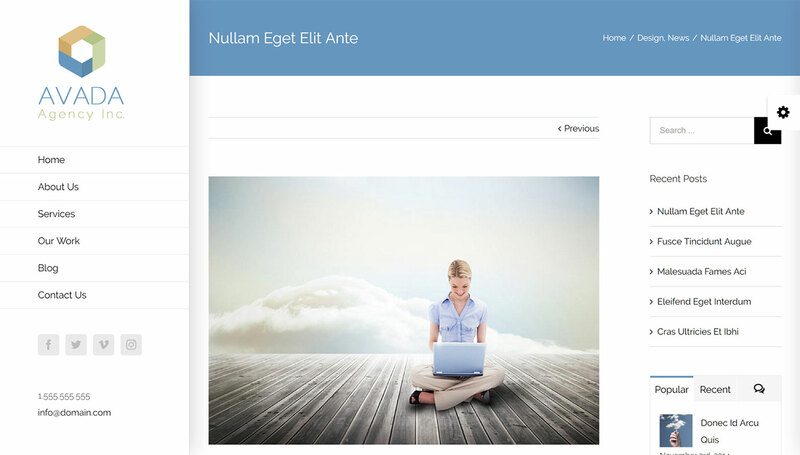 Choose which theme demo or look you’d like installed on your new WordPress website. As this is a hands-on Envato Hosted review, for testing purposes, we did sign up and launch a new WordPress website. Although the time from starting the signup process to being able to log into the new WordPress website wasn’t instant, it only took about five minutes. However, a significant portion of that time was spent staring at a screen wondering what was going on. Waiting for the new WordPress website to go live. There were a few hiccups along the way, such as the links to the site and control panel that were sent over not yet being active. This was likely due to domain name system (DNS) settings taking a while to propagate, and the new URL being in the process of going live. However, as there’s no mention of these delays and potential issues during the setup process, it somewhat taints the suitability of Envato Hosted for inexperienced WordPress users. A simple message explaining delays in the site going live could help avoid confusion. 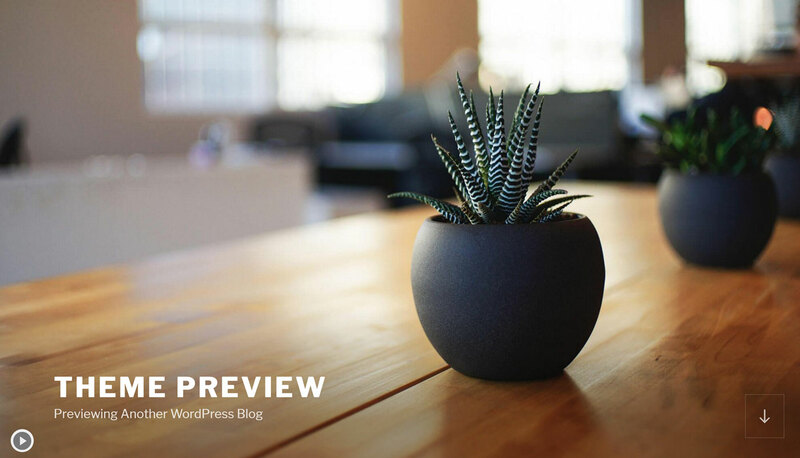 Overall, though, getting started with Envato Hosted and launching a new WordPress website is relatively straightforward. You really can register a domain, choose a theme, and select which demo to have installed, all through a single signup process. However, while everything did work, the registration process felt a little rough around the edges compared with that of Envato Hosted’s competitors. Having your pick from a selection of high-quality WordPress themes, as well as all the other good features covered above, is great. But perhaps the most important reason to choose one web host over another is how quickly they can serve your website to your visitors. This guide explains why site speed is so important. Suffice to say, if you want more visitors, a better user experience, and increased goal conversion rates, then you should be doing all you can to improve the speed of your WordPress website. With that in mind, let’s look at the loading times we experienced while testing Envato Hosted for this review. Pingdom is a popular monitoring service, and one of the best ways to measure the performance of a website. After signing up with Envato Hosted, the Avada theme was installed and the Agency demo website content imported. The Avada Agency demo blog post page used for testing. As the Avada Agency demo homepage includes a multimedia slider with video content and other large files, it was decided that a more standard page from the demo, consisting of images and text, would yield more relevant results. Once the test WordPress website was set up, Pingdom recorded the loading times of the internal blog post at 30-minute intervals. 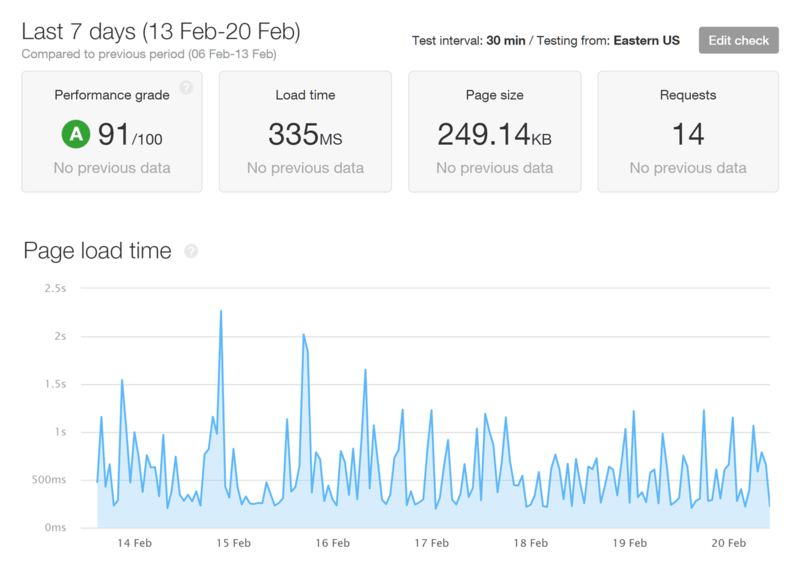 Pingdom checks the site speed at 30-minute intervals to establish an average loading time. After monitoring site speed with Pingdom, the average load time over the past seven days for our WordPress website, hosted by Envato using the Avada theme and its Agency demo, was 2.96 seconds, with a YSlow performance grade of B and 85/100. The loading times were recorded at regular intervals throughout the testing period. 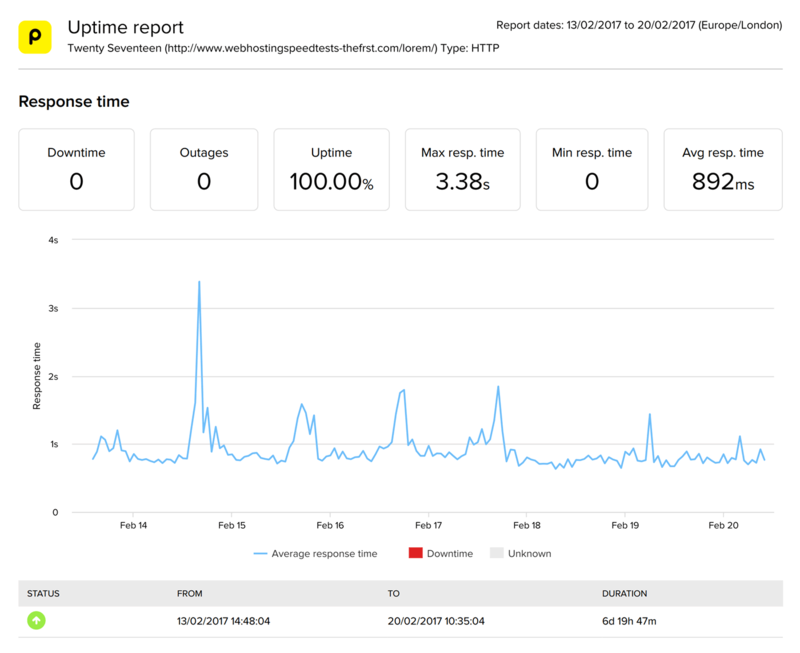 During the testing period, Pingdom detected an uptime of 99.85%. Website uptime was also monitored with Pingdom. During the testing, six instances of downtime were detected, with the site unavailable for 15 minutes in total. This resulted in an uptime of 99.85% according to Pingdom. Although the website returned to its available state without any intervention, the longest period of downtime — as can be seen from the image below — was a slightly worrying nine minutes. Breakdown of all the instances Pingdom detected downtime on the test site. GTmetrix is another popular site speed measuring service. The loading times of the test site were also measured with GTmetrix, another popular performance reporting tool.  The GTmetrix results were comparable with the Pingdom test results. The same website configuration loaded about 60% faster with Envato Hosted than with a low-cost, entry-level shared web host. Twenty Seventeen is the current default WordPress theme. Although Avada is one of the most popular WordPress themes around, its wealth of features and functionality may be overkill for some projects. If your needs are more modest and you’d like to know how Envato Hosted performs with a more minimal WordPress theme, we also tested a website using the free Twenty Seventeen theme from the WordPress.org team. Page load times over a seven-day period using the Twenty Seventeen WordPress theme. Unlike Avada, the free Twenty Seventeen theme doesn’t include or rely on any plugins. Therefore, this no frills WordPress theme gave Envato Hosted a great opportunity to demonstrate how quickly it could deliver a website. With an average loading time of 335 milliseconds, and A grade performance over seven days of testing, Envato Hosted definitely has the potential to quickly serve a WordPress website to your audience. Individual load times from the latest automated Pingdom tests. 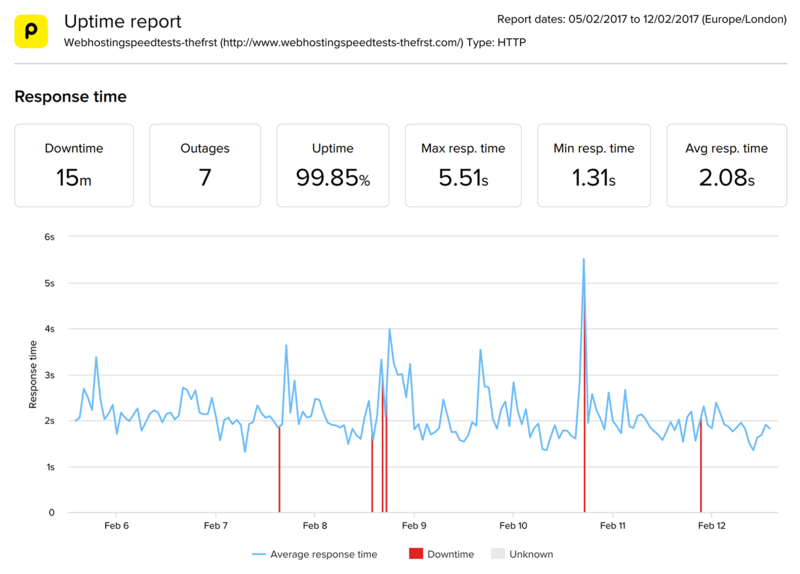 Pingdom recorded 100% uptime in our second seven-day testing period. Your requirements and the final configuration of your website will probably sit somewhere in between one of the full-featured Avada demos and the minimal Twenty Seventeen theme. 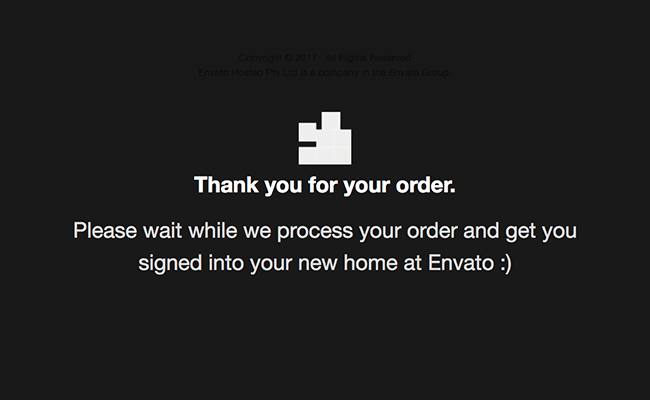 Your results will definitely vary from ours, but ours should give you a rough idea of what to expect from Envato Hosted. Furthermore, with a seven-day free trial, you should have enough time to carry out speed testing of your own site before making a final decision on Envato Hosted. Don’t forget, there are plenty of ways to make WordPress faster that we didn’t make use of on our test site, such as optimizing your content more efficiently and choosing your plugins wisely. 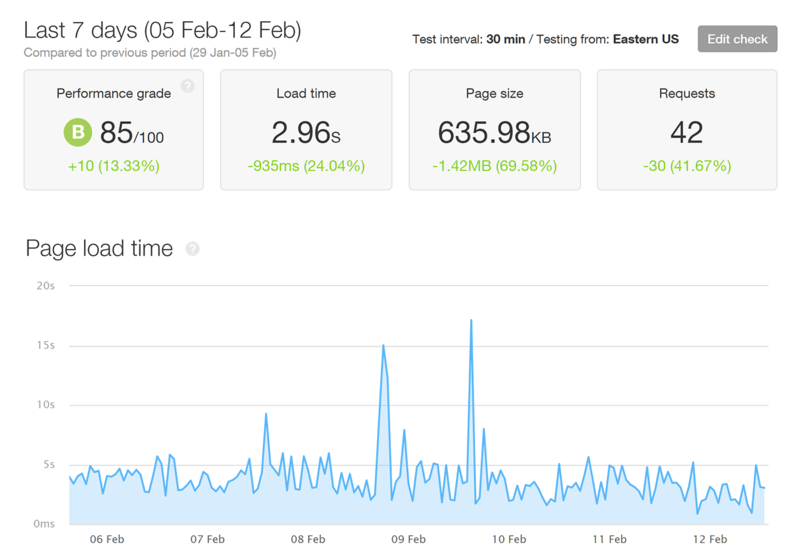 Think of your initial site speed testing results as a baseline that can be improved in a number of ways. It’s also worth pointing out that although Envato Hosted doesn’t prohibit the use of any specific plugins (like some other managed WordPress hosts), they do suggest avoiding caching plugins, as Envato already applies server caching to all sites on their platform. However, while Envato Hosted doesn’t yet maintain their own content delivery network (CDN), you’re free to make use of a third-party CDN of your choice — another popular way to speed up a WordPress website. 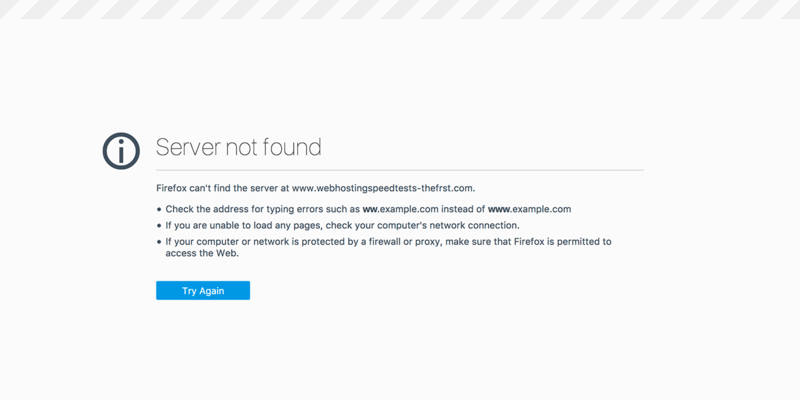 Testing the speed of a website and its web host isn’t as straightforward as it may seem. 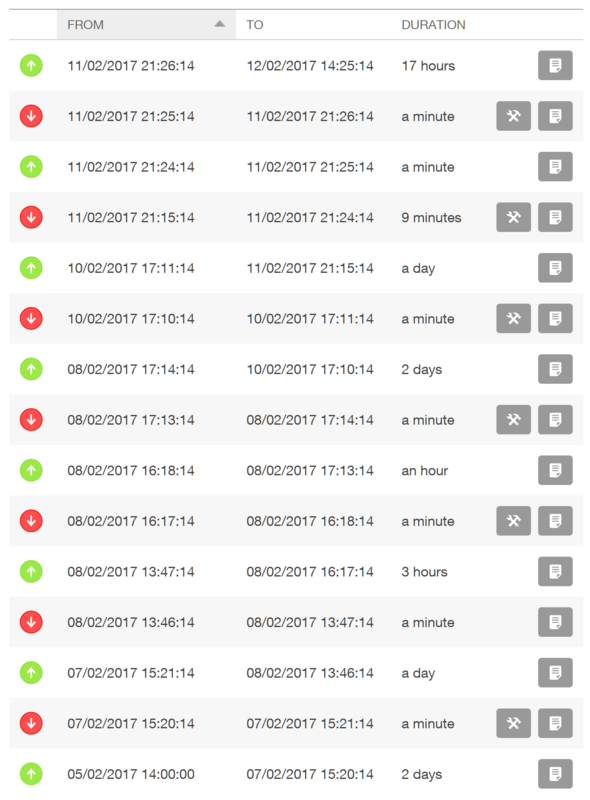 Running a manual test with a reputable service such as Pingdom or GTmetrix can produce wildly varying results from one minute to the next. To counteract this, for our tests, the premium Pingdom service was used to automatically record the speed of the test website at 30-minute intervals around the clock for seven days. There are so many factors that can affect the load times of your site, including your choice of theme, which plugins you’re using, what type of content you’re publishing, how many visitors are trying to access your site at one time, and where those visitors are located. However, these test results should give you some idea of what to expect from Envato Hosted. This price also includes any qualifying WordPress theme from ThemeForest, including best-selling options such as Avada, X Theme, and Enfold. Also included in the service is the installation of your chosen theme and its demo, as well as ongoing support for your website. Free migration of an existing WordPress website to your new hosting account is also included. As mentioned, because the Envato Hosted service is fully managed, the team will take care of WordPress core upgrades, provide base-level security, monitor your website for errors, and back up the site daily. When it comes to usage, your $19.99 per month or $190 per year includes 100,000 monthly visits, 5GB of disk space, and 100GB of monthly bandwidth. These quotas are soft limits, and nothing automatic will happen should you go over them. Instead, if excessive usage is detected, expect to be contacted by the support team to discuss a solution that works for both parties. There are no overage charges in place at the moment. 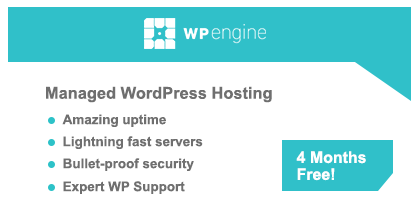 For comparison, the entry level WP Engine managed WordPress hosting plan includes 25,000 monthly visits, 10GB of disk space, and unlimited bandwidth for $29 per month. 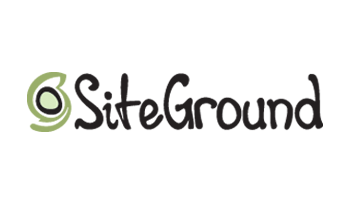 For a more budget-friendly option, SiteGround offer their own take on managed WordPress hosting for as little as $9.95 per month, which includes an allowance of up to 10,000 monthly visitors and 10GB of disk space. However, neither of these competitor options includes a premium ThemeForest WordPress theme and installation. The appeal of the Envato Hosted service is having everything in one place, under one account, including your domain name, hosting service, WordPress theme, and support team. If you want to get your new WordPress website online with the least effort possible, Envato Hosting is definitely worth considering. Providing you’re happy to use one of the WordPress themes that are available as part of the service, Envato Hosted could be the hands-off done-for-you managed hosting service you’re looking for. Also, if you’re seeking a more managed hosting arrangement for an existing WordPress website, it’s worth repeating that Envato Hosted offers a free site migration service as part of the signup process. Although you should contact the support team first to find out if they’ll be able to migrate your particular WordPress website configuration. The Envato Hosted monthly fees of $19.99 are reasonable in the managed WordPress hosting space. However, you can, of course, host your site for a lot less — and if you’re willing to do more of the setup and ongoing maintenance work yourself, there are a number of good alternatives that are also worth considering. Although the Envato Hosted service is a relative newcomer to the web hosting space, the company has many years’ experience working with and supporting WordPress users — and the fact that they’re using the Amazon Web Service infrastructure should give you some reassurance, too. If you’ve been putting off starting a new WordPress website because of all the different components you’ll need to understand, such as domain names, themes, installing WordPress and looking after your site, then Envato Hosted could well be a wise choice. Used/using Envato Hosted yet? Thoughts? Thanks for the comprehensive review – super helpful! – thanks. I’ve now changed the post accordingly.